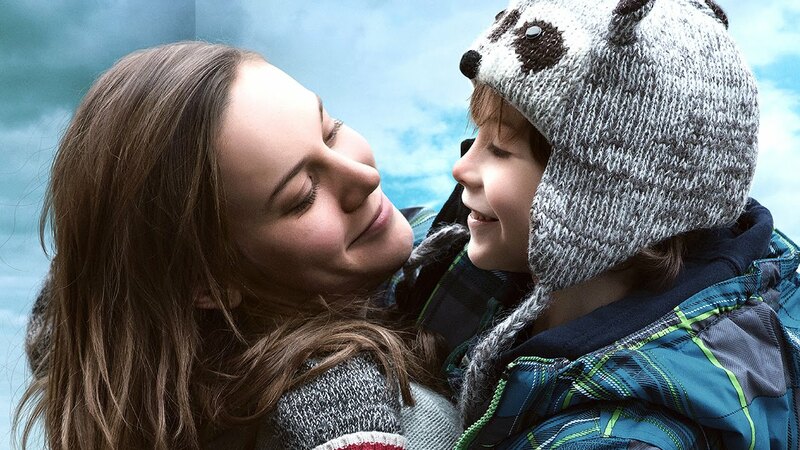 Both highly suspenseful and deeply emotional, Room is a unique and touching exploration of the boundless love between a mother and her child. At once a taut narrative of captivity and freedom, an imaginative trip into the wonders of childhood, and a profound portrait of a family’s bonds and fortitude, Room is a beautifully transcendent experience based on the award-winning global bestseller by Emma Donoghue, who wrote the screenplay, based on her original novel. 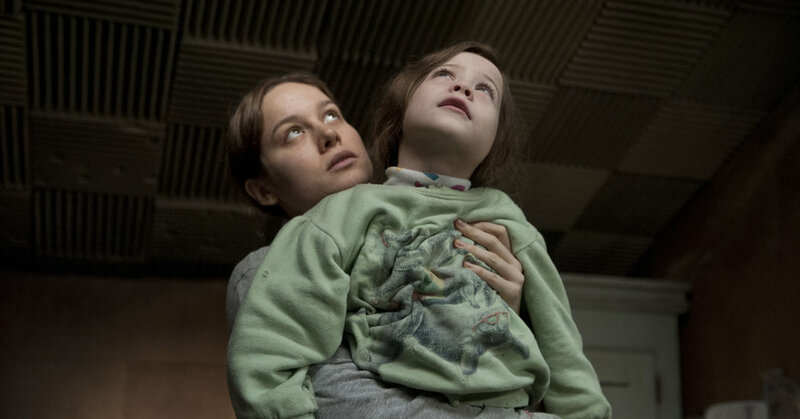 Director Lenny Abrahamson remains faithful to the novel while bringing Jack, Ma and their entirely singular world to heart-pounding and intensely cinematic life. After 5-year- old Jack (Jacob Tremblay) and his Ma (Brie Larson) escape from the solitary, locked, 10”x10” room that Jack has known his entire life, the boy makes a thrilling discovery: the outside world. As he experiences all the joy, excitement, and fear that this new adventure brings, he holds tight to the one thing that matters most of all—his special bond with his loving and devoted Ma. The story of Room first stunned critics and readers alike when Donoghue’s book stormed onto the literary scene in 2010 and was declared not only a hugely popular bestseller, but an instant modern classic. Part fairy tale, part thriller, the book tackled themes of captivity and liberation, of isolation and connection, of how we create and perceive the world in our heads. But it was also an undeniable celebration of parental love and human fortitude, exploring the life- sustaining, chaos-overcoming bonds between parent and child as few novels ever have. Equally so, few novels have ever had as remarkable a narrator as Jack, the exuberant 5-year-old who has never seen the modern world we all know outside the place he calls Room. The book was the subject of a fierce bidding war, then became the must-read of the season, passed between friends and family, and was soon garnering awards, including being shortlisted for the prestigious Man Booker Prize. Naturally, in the course of all the attention, there was talk of a feature film. But could a story that was so exhilaratingly internal, that had started as a dispatch from the limitless, loving, spontaneous realm in a little boy’s head be re-envisioned as an equally powerful visual experience? It would take the author of the novel, Donoghue, the creatively fearless director Lenny Abrahamson, and a small but utterly devoted cast to answer that question. Having built her novel so meticulously, Emma Donoghue was perhaps the best candidate on earth to remodel ROOM into a visceral, visual experience that would embrace the book but also reach out to audiences completely unfamiliar with it. 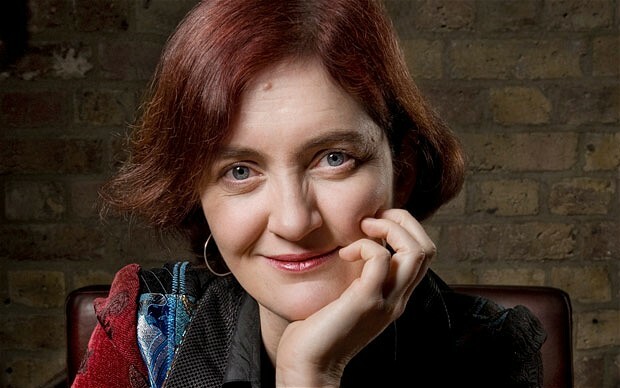 Emma Donoghue (Screenwriter/Novelist) was born in Dublin in 1969 and now lives in Canada. She writes fiction and history as well as drama for radio, stage and screen. She is best known for her international bestseller Room, short-listed for the Man Booker and Orange prizes and winner of the Commonwealth (Canada/Carribean), Rogers Writers’ Trust and Hughes & Hughes Irish Novel of the Year Awards. Her fiction ranges from contemporary (Stir-fry, Hood, Landing and Touchy Subjects) to historical (Slammerkin, The Woman Who Gave Birth To Rabbits, Life Mask, The Sealed Letter and Astray) to fairy tale (Kissing The Witch). Yet, it’s rare for authors to adapt their own bestsellers for the screen; and Donoghue had no screen credits to her name when it was published. So Donoghue decided, even as she was writing the novel, that she would pre-emptively start her own adaptation, bringing her unique vision to it. Indeed, as her instincts suggested, the subject of a film soon came up and Donoghue was prepared. She was also excited, rather than trepidatious. “Jack was going to have a physicality, he was no longer just a consciousness,” she muses. Jack and Ma had originally come to Donoghue unexpectedly. She had written a number of critically admired novels, several short story collections and works of literary biography, but nothing that entirely presaged the broad popularity of ROOM. One day, Donoghue had her mind sent reeling in surprising directions by the harrowing true story of Elisabeth Fritzl – an Austrian girl imprisoned by her abusive father in a basement dungeon for 24 years. While in captivity, Fritzl had given birth to several children, some of whom were raised with her in their sealed chamber. Donoghue had little interest in the more conventional enticements of the story: the lurid crimes committed against Fritzl or our titillating cultural fascination with psychotic criminals. She was drawn to far larger, juicier questions about human nature and human resilience that Fritzl’s strange motherhood and sheer survival triggered: What would being a parent be like in a locked room? How could you best hope to raise a child completely removed from society from birth? What would happen if you emerged into modern life after living in apart from it all or part of your existence? Those same themes would remain at the heart of the screenplay. But Donoghue was acutely aware that film demands an immediacy a novel doesn’t, so she approached the screenplay as its own linked but independent creature. While Jack’s voice had slowly lured readers into the book, Donoghue felt the film had to kick off on a more propulsive note, putting the audience smack into the life Ma and Jack are leading in Room. Perhaps the biggest puzzle of the adaptation was how to contrast life inside Room in the film’s enclosed first half with the total sensory overload of life outside Room in the chaotic but redemptive second half. While it might seem that Ma and Jack’s battle is over, instead it quickly becomes clear their freedom will demand as much of Ma and Jack as Room ever did. Even as they try to bounce back from an overwhelming ordeal, they have to keep adapting and holding fast to each another. Ma’s life is also completely altered by leaving Room. Not only does she have to face the stunted youth she left behind, she also faces a media maelstrom, as reporters descend upon her, building her up into a maternal hero, then tearing her down in ritualistic fashion. In the midst of it all, she struggles mightily to gain a sense of herself, and to reconnect with Jack in new ways. Lenny Abrahamson (Director) studied physics and philosophy at Trinity College Dublin, where he directed short films with a filmmaking society which he co-founded with Ed Guiney. He graduated with first class honors doing further post-grad work at Stanford University in California.He directed numerous commercials for television in Ireland, the UK and worldwide before taking the helm on his first feature film, Adam & Paul, a stylized, downbeat comedy written by Mark O’Halloran and released in 2004.His second feature film, Garage, another collaboration with writer Mark O’ Halloran, was selected for Director’s Fortnight at the 2007 Cannes Film Festival and won the CICAE Art and Essai award. What Richard Did, his third feature, was released in 2012 to critical acclaim. Abrahamson’s fourth feature, Frank, premiered to great praise at the 2014 Sundance Film Festival.He is developing a number of projects including The Little Stranger, a film based on Sarah Waters’ novel, with Potboiler and Film4, and Neverhome, an adaptation of Laird Hunt’s Civil War novel, with Element Pictures and Film4. 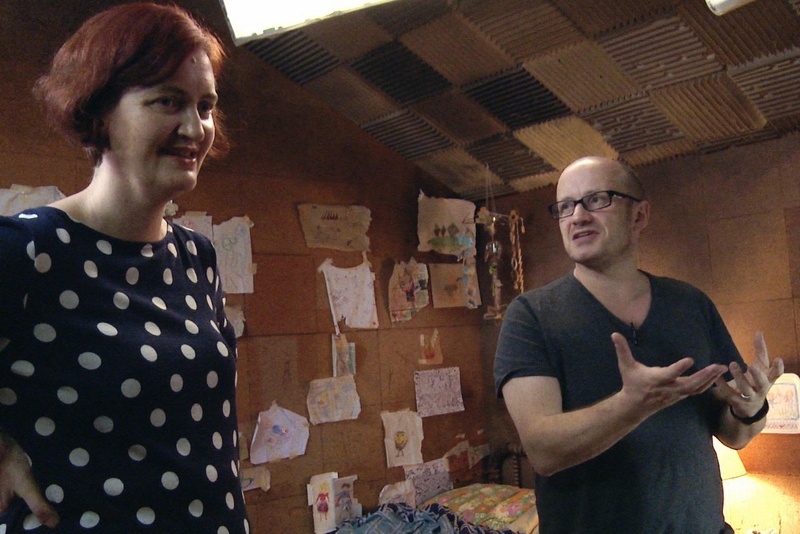 Emma Donoghue always knew it was going to take a bold and resourceful director to give Room the life she envisioned, but she did not expect to receive a lengthy letter from an Irishman passionately explaining in blueprint detail how he planned to do just that. The letter was from Lenny Abrahamson, best known for the award-winning psychological drama What Richard Did and more recently, the disarming, rock-and-roll-themed comedy Frank. His raw, economical style might, at first glance, have seemed a mismatch with Room, but it turned out to be anything but. Donoghue was indeed charmed but told Abrahamson she hadn’t yet made up her mind. He patiently waited. “The good news was that as Emma began fielding interest from other filmmakers, hearing their ideas, she kept thinking more and more about the specifics in my letter. And at that same time I was getting better known as a filmmaker, which didn’t hurt,” he laughs. As Abrahamson and Element Pictures wooed Donoghue, all the pieces of the puzzle began aligning. The UK’s Film4 (Twelve Years A Slave, Slumdog Millionaire) and the Irish Film Board joined as development financiers. Rena Ronson at UTA worked with Element to bring on leading international sales company FilmNation Entertainment along with A24 as U.S. distributor. As production neared, the Canadian production company No Trace Camping completed the enthusiastic lineup of supporters. Abrahamson was gratified by the combo of freedom and collaboration the team gave him. “We were able to develop the film in a protected space with people who understand the creative process. It was a very, very supportive environment, and that’s the only way to make a film like this,” he says. So what ultimately won Donoghue over? Abrahamson says it was all about acknowledging what film can observe that writing can’t … and vice versa. “The biggest question for myself and Emma was how to adapt such an internalized book. In a way, I think I had a sense of the answer from the first time I read the novel. As I imagined the events described in the little boy’s voice I could feel his presence in the pictures, in the sequences. Film does point of view very powerfully, it just does it differently, less directly, in a way much more flexibly, than literature. There were times when I doubted it would work, but I knew that whatever happened I would pursue that vision and would use no obviously stylizing techniques, no overtly subjective camera style. That would just kill the believability and distance us from the boy,” he says. One thing the director knew straight out of the gate is that he was not going to get tricksy or whimsical. On the contrary, he wanted to strip away any artifice that might stand between the audience and their experience of Jack and Ma’s two worlds, in and out of Room. “I suppose I trusted my instinct, and I trusted the story of these people and didn’t hedge, didn’t resort to any tricks, I just tried to track them with maximum sensitivity to the details of what they are feeling, what is at stake for them, as well as capturing the broader ironies, tragedies, social, psychological and familial insights of their story. I tried to make it feel real while at the same time subtly underscoring the more allegorical aspects of Emma’s amazing book in relation to parenting, moving from the safe fuzziness of the childhood cosmology to the danger and uncertainty of the adult world. These things are more powerful because an audience is allowed to sense them, discover them without loud prompts,” says the director.